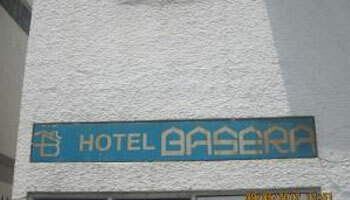 Book your Accomodation at Basera Hotel, Hotel in Agra. Check reviews, services & Location, amenities of Basera Hotel, Hotel, Agra before you book your accomodation. Hotel Basera is located in the beautiful City of Taj, Agra. It is at a distance of 7 km from Agra Airport, 2 km from Idgah Railway Station and 1.9 km from Idgah Bus Stand. Popular places to visit in Agra are Agra Fort (2 km), Jama Masjid (2 km), Taj Mahal (4 km), Moti Masjid (4 km), Mehtab Bagh (7 km), Chini Ka Rauza (7 km), Ram Bagh (8 km), Tomb of Akbar the Great (11 km) and many more. Have a pleasant and comfortable stay at Hotel Basera! Doctor on Call, Airport Transportation, Breakfast Services, Room Service, Currency Exchange, Parking, Travel Counter, Security Guard, Backup Generator, Laundry Facilities. Wakeup Calls, Cable/Satellite TV, Attached Bathroom, House Keeping, DVD Player, H/C Water, Toothbrush/Razor on Request, Iron/Ironing Board, Air Conditioning Room.